The favorite threads for any day at the range, BBQ with the crew or when the barrel blocks are going into the vise. 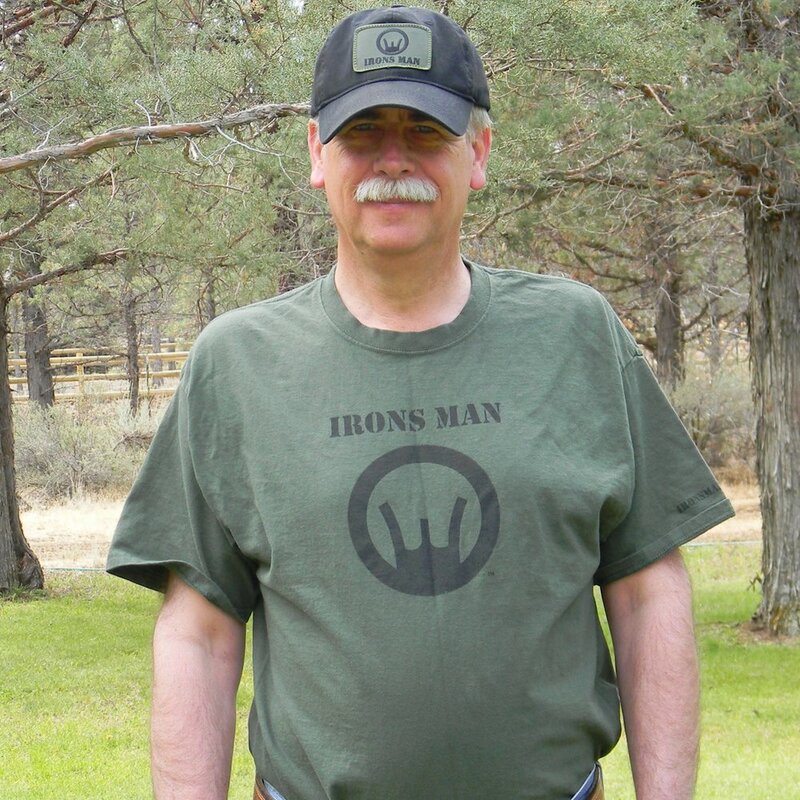 Ironsman Tshirt Black on Green. 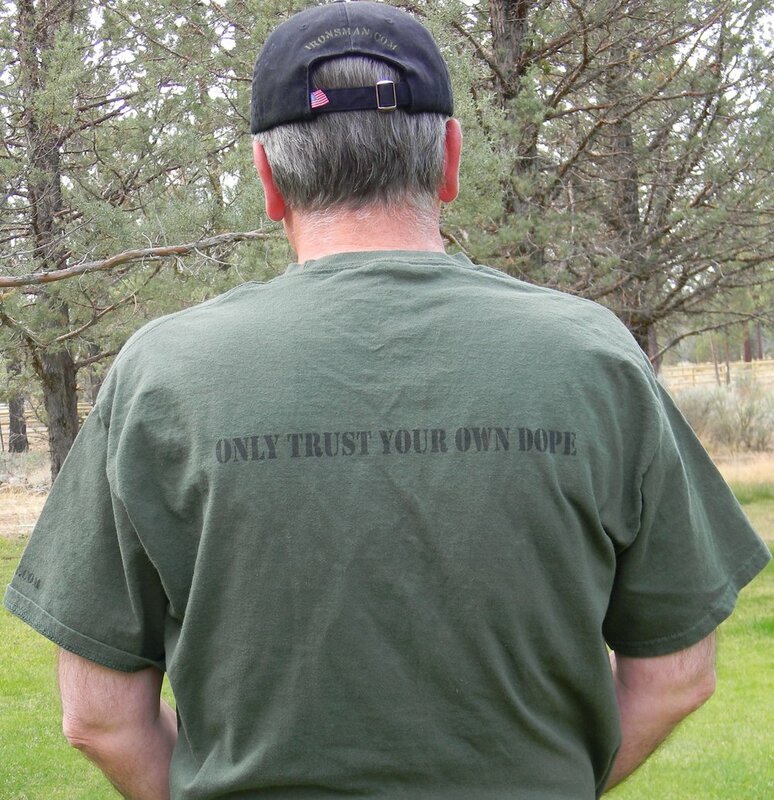 "Only trust your own dope" posted across the back. 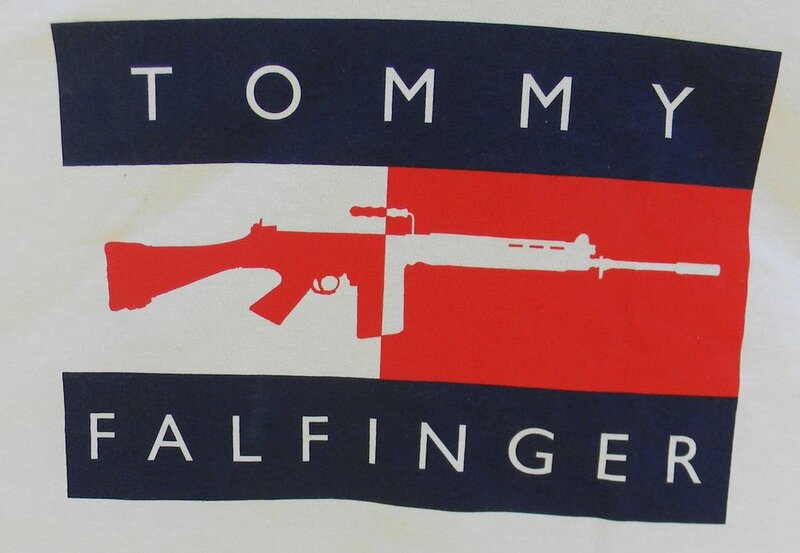 FALfinger Tshirt White -Winter Clearance! 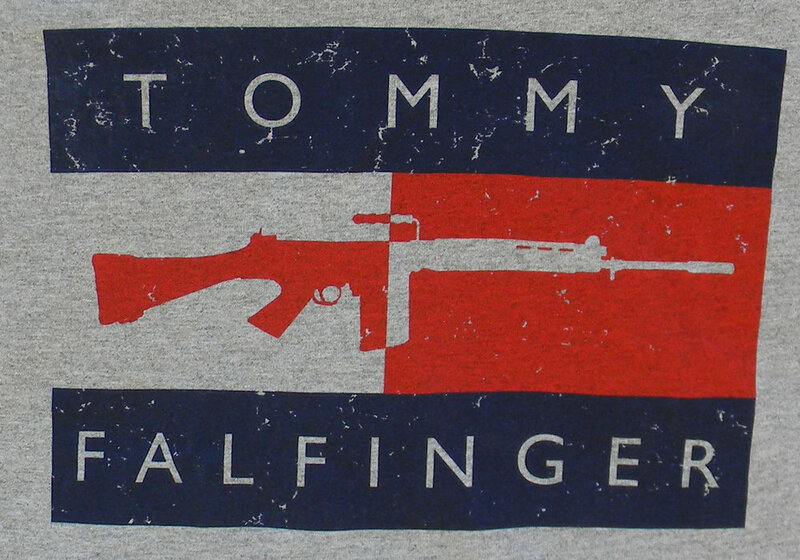 FALfinger Tshirt Distressed -Winter Clearance! ARfinger Tshirt White -Winter Clearance! ARfinger Tshirt Distressed -Winter Clearance! No sales outside the USA.